This post is sponsored by Cuisinart. I was given a Cuisinart 360° Griddle Cooking Center to test and create recipes with. 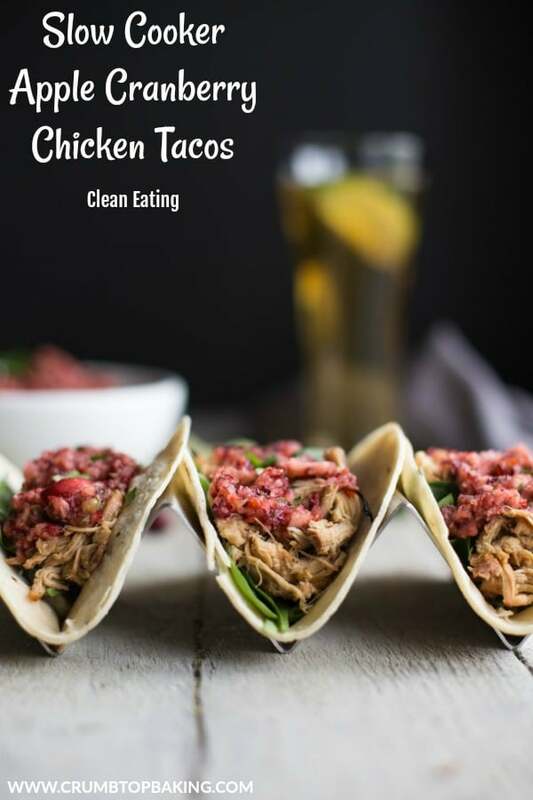 All recipes, images, text and opinions are 100% honest and are exclusively created by and belong to Daily Dish Recipes. Simple, but spicy Cajun chicken, griddle cooked for extreme flavor and tenderness. 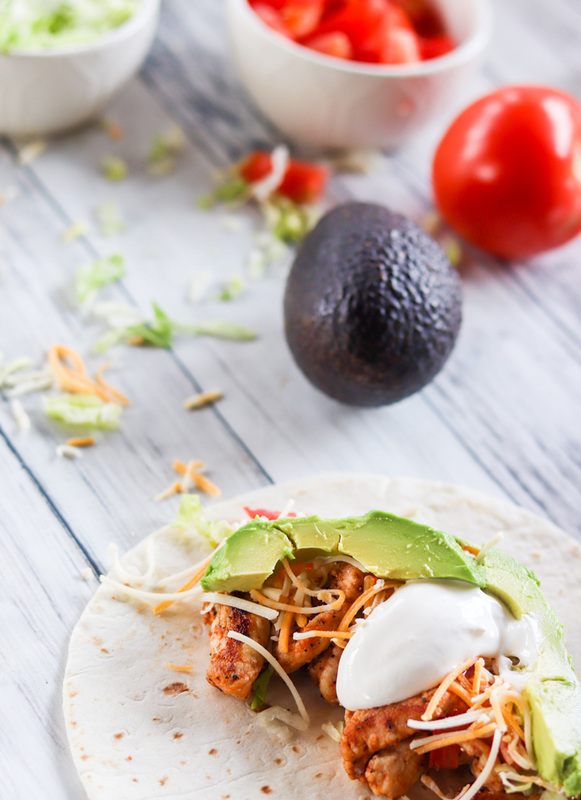 Load up the toppings for amazing Spicy Cajun Griddle Chicken Tacos. I’ve always enjoyed using my indoor electric griddle to create all kinds of meals. But when I received my Cuisinart 360° Griddle Cooking Center it basically replaced my indoor griddle. Because this thing is the bomb. It’s got a huge surface and I can cook all sorts of meals on it. 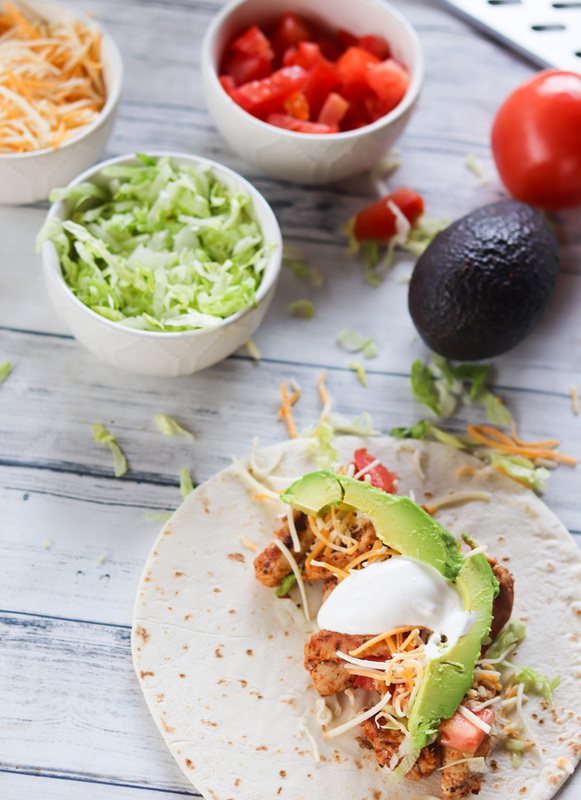 One of our favorites to make is these Spicy Cajun Griddle Chicken Tacos. But don’t worry, they can be made on your indoor griddle too! My kids and I love tacos! 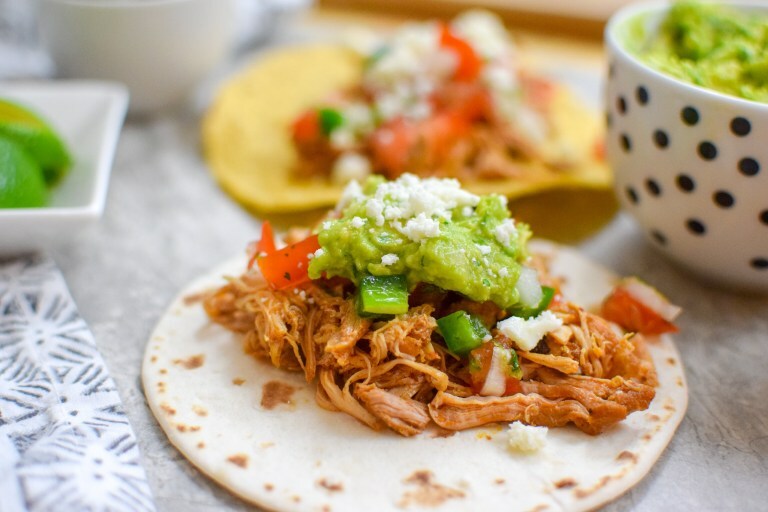 We eat them far more often than Taco Tuesday but don’t worry, we celebrate that too. What I love about tacos is that you can switch it up and they can taste different each time you make them. I also love them because they are a quick and easy lunch idea as well. 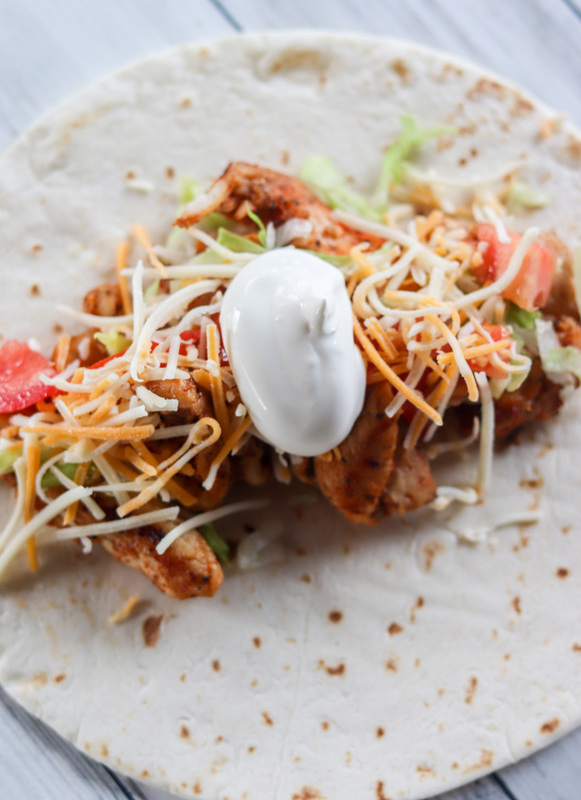 We eat these Spicy Cajun Griddle Chicken Tacos for lunch often. What kind of taco’s should I make? 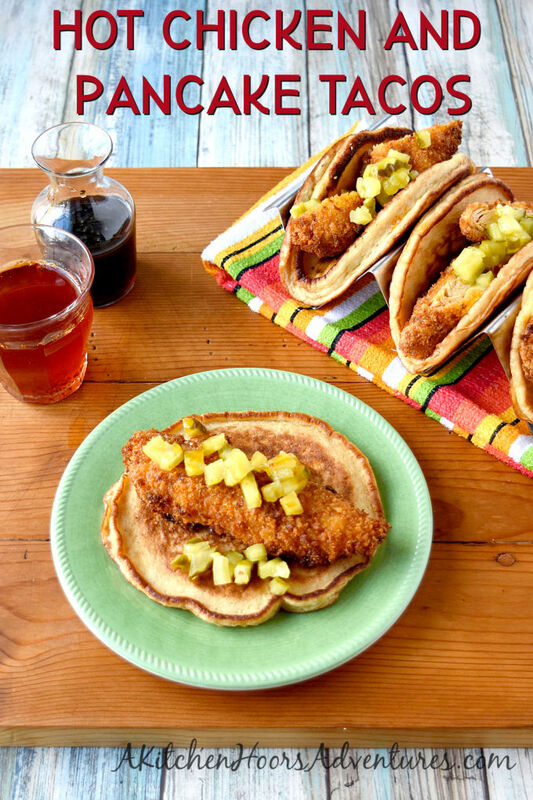 While we truly love these Spicy Cajun Griddle Chicken Tacos, there are just so many other options. You can make something different every day. Start with the outside shell, fill with the protein or main ingredient and then choose the toppings. 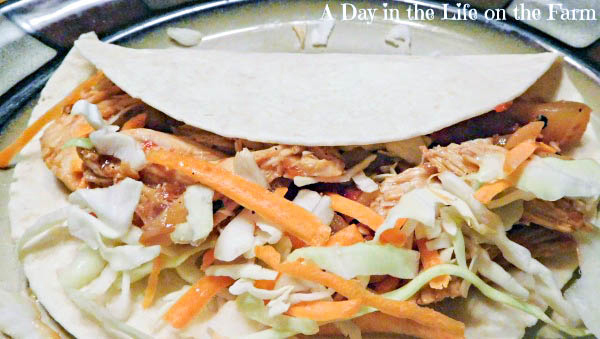 You can easily make tacos for every Taco Tuesday in a whole year! 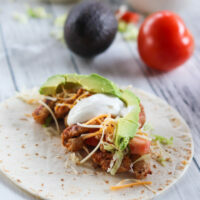 I couldn’t just give you this recipe for Spicy Cajun Griddle Chicken Tacos without giving you a few other suggestions. So scroll down for some fabulous ideas and if you have any to share, please leave them in the comments. 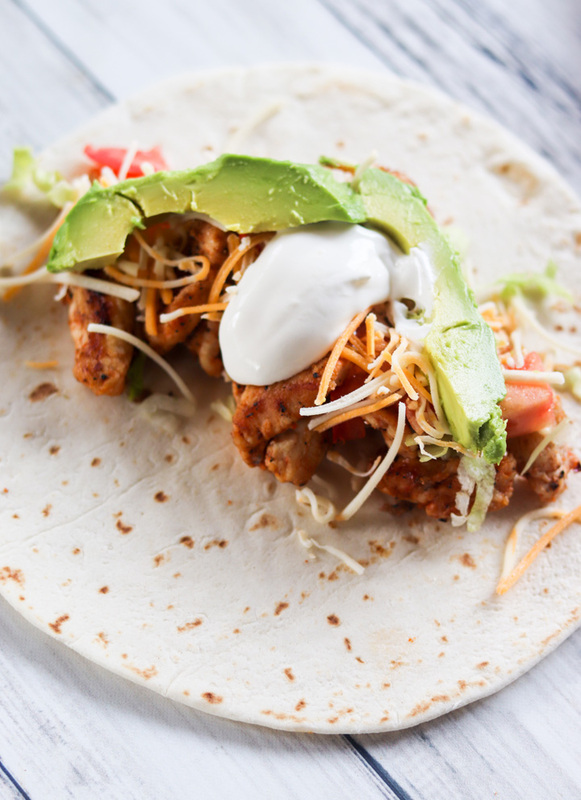 For these Spicy Cajun Griddle Chicken Tacos, we tend to keep things simple and only top with minimal toppings. This is mostly to make sure the Cajun spice comes through enough. If you like things less spicy, use less seasoning and if you like them even spicier, load them up with chopped peppers with a bit more heat. 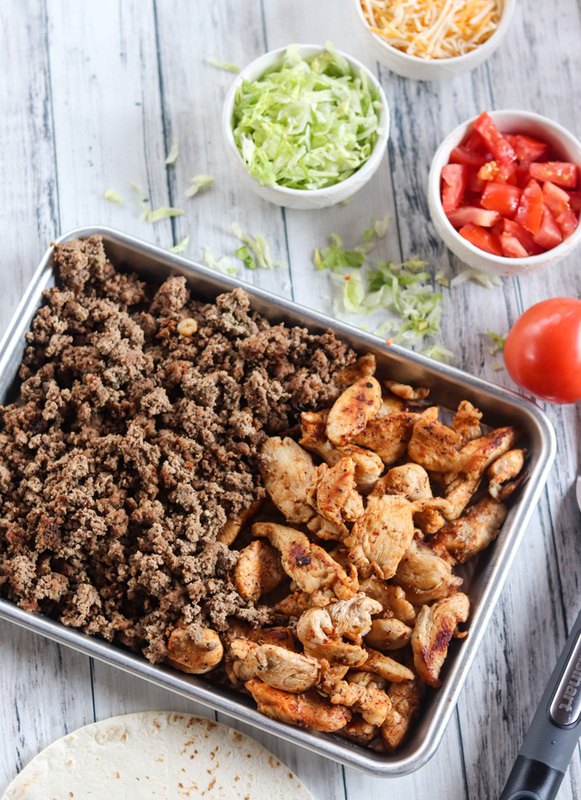 Who’s ready to make some Spicy Cajun Griddle Chicken Tacos? Place the chicken, Cajun seasoning, garlic powder, pepper and salt into a plastic zipper bag and seal. Shake to coat well. Spray griddle with cooking spray or brush surface with cooking oil. Heat griddle to medium-high. About 350 degrees F.
Lay the strips of chicken down on the griddle. Cook for about 10 minutes, turning with a spatula often. Check they are cooked through. Remove from griddle as soon as cooked. To assemble tacos, lay a flour tortilla down on plate, top with slices of chicken, shredded cheese, shredded lettuce, chopped tomatoes, sliced avocado and a dollop of sour cream. 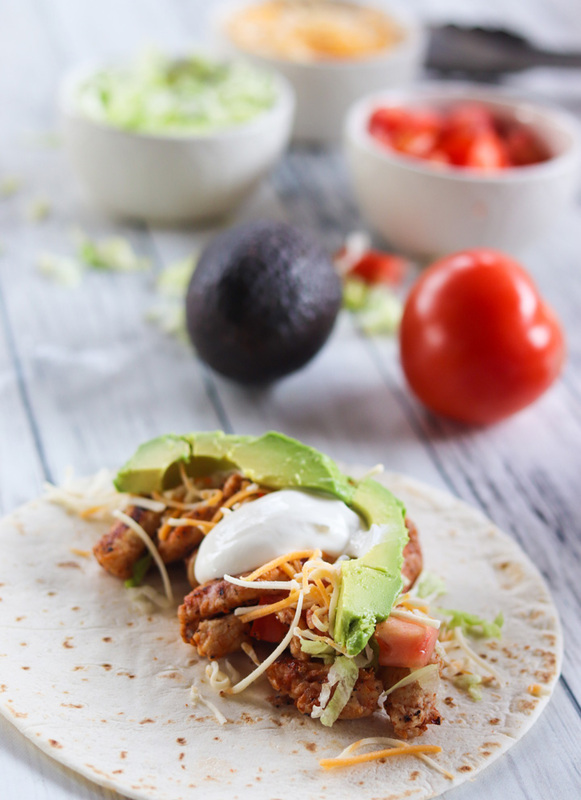 And if you’re still looking for some great chicken taco recipes, check these out too!